Contemporary German architecture set its main trends in the first thirty years of the 20th century. The strongest influences came from Weimar and Dessau, where the Bauhaus school was founded in 1919. Under the leadership of Walter Gropius (1883-1969) and Ludwig Mies van der Rohe (1886-1969), the Bauhaus style spread to the far corners of the earth. Today masterpieces of its synthesis of architecture, technology and functionality can be found all over the world. One of the main goals of Bauhaus was to renew architecture. The leaders of Bauhaus, Walter Gropius, Hannes Meyer, Ludwig Mies van der Rohe, were architects. The origins of Bauhaus were far from the earlier methods of education in industrial art, art proper and architecture. Its program was based on the newest knowledge in pedagogy. But above all the intention of Bauhaus was to develop creative minds for architecture and industry and thus influence them so that they would be able to produce artistically, technically and practically balanced utensils. The institute included workshops for making models of type houses and all kinds of utensils, and departments of advertising art, stage planning, photography, and typography. The neoplastic and constructive movements of art to a great extent steered the form lines of Bauhaus. Teachers were such masters of modern art as Wassily Kandinsky and Paul Klee. To better understand the aims of the Bauhaus school, one has to read the following extracts from Walter Gropius’ Manifesto: “The ultimate aim of all creative activity is a building! The decoration of buildings was once the noblest function of fine arts, and fine arts were indispensable to great architecture. Today they exist in complacent isolation, and can only be rescued by the conscious co-operation and collaboration of all craftsmen. Architects, painters, and sculptors must once again come to know and comprehend the composite character of a building, both as an entity and in terms of its various parts. Then their work will be filled with that true architectonic spirit which, as “salon art”, it has lost.” … “Architects, painters, sculptors, we must all return to crafts! For there is no such thing as “professional art”. Often associated with being anti-industrial, the Arts and Crafts Movement had dominated the field before the start of the Bauhaus in 1919. The Bauhaus’ focus was to merge design with industry, providing well designed products for the many. The basic idea of the Bauhaus teaching concept was the unity of artistic and practical tuition. Every student had to complete a compulsory preliminary course, after which he or she had to enter a workshop of his or her choice. There were several types of workshops available: metal, wood sculpture, glass painting, weaving, pottery, furniture, cabinet making, three-dimensional work, typography, wall painting, and some others. It was not easy to get general allowances for the new type of art education. A political pressure was felt from the beginning. In 1925 the Thueringer government withdrew its economic support from the education. Bauhaus found a new location in Dessau. The city gave Gropius building projects: a school, workshop and atelier building (1925-1926) has remained in history by the name ‘Bauhaus Dessau’. In October 1926, the school was officially accredited by the government of the Land, and the masters were promoted to professors. Hence, the Bauhaus obtained the subtitle “School of Design”. The training course from then on corresponded to university studies and led to a Bauhaus Diploma. Later this year, because of some political and financial difficulties, the Bauhaus center could no longer remain in Weimar and was closed. In April 1925, Bauhaus resumed its work in Dessau. Personal relations in Bauhaus were not as harmonious as they may seem now, half a century later. The Swiss painter Johannes Itten and the Hungarian Laszlo Moholy-Nagy, who taught the Preliminary Course, left after strong disagreements in 1928, Paul Klee – in 1931. Some, for instance Kandinsky and Albers, stayed loyal until the closing of Bauhaus in 1933. In spite of the success, Gropius left the Bauhaus leadership in 1928. His successor was the Swiss architect Hannes Meyer. He promoted the scientific development of the design training with vigor. However, Meyer failed as leader due to political disagreement inside Bauhaus. He was dismissed in 1930. The German architect Ludwig Mies van der Rohe was invited as director. He was compelled to cut down on the educational program. Practical work was reduced. Bauhaus approached a type of ‘vocational university’. It began to loose the splendid universality that had made it so excellent. Training of vocational subjects started to dominate the initial steps of education. As a matter of fact this tendency became stronger after Mies van der Rohe had transformed the school into a private institute in Berlin in 1932. The Nazi majority of Dessau suspended the seat of learning. Paul Schultze-Naumburg was the architect that they sent into the school to re-establish pure German art instead of the “cosmopolitan rubbish” the Bauhaus artists were doing. He described Bauhaus furniture as Kisten, or boxes. Bauhaus was even as private institution so much hated by the National Socialist government that the police closed it up on 11th April, 1933. By September 1932, the Nazis had won a majority in Dessau, and cut off all financial support to the Bauhaus. The school was forced to move to Berlin, where it survived without any public funding for a brief time. On April 11 1933, the Berlin police, acting on the orders of the new Nazi government finally closed it. 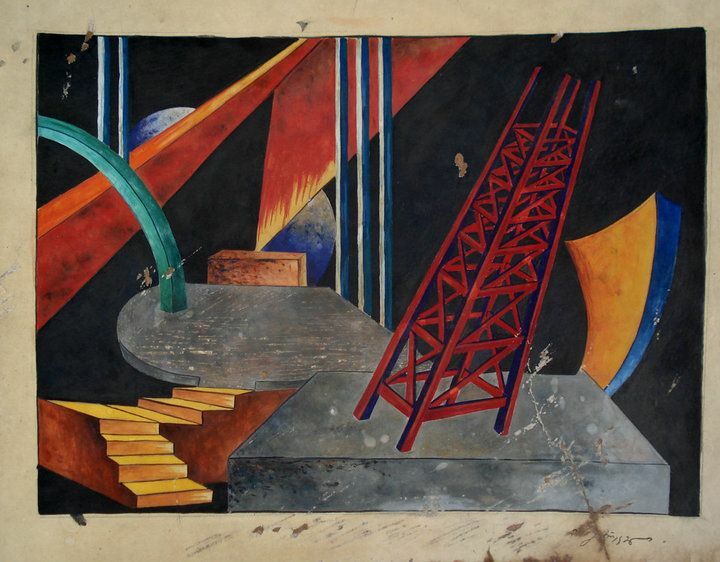 The Nazi’s “degenerate art” exhibition in 1937 featured works by several former Bauhaus teachers. The Nazis failed in their efforts to completely erase the Bauhaus. Its forced closure and the subsequent emigration of many of its former staff and students, ensured that it would become famous and influential throughout the world, especially in the United States, where a Bauhaus school was established in Chicago in 1937. The Bauhaus had a lasting impact on art education and in architecture. The New Bauhaus, founded in 1937 in Chicago, was the immediate successor to the Bauhaus dissolved in 1933 under National Socialist pressure. Bauhaus ideology had a strong impact throughout America, but it was only at the New Bauhaus that the complete curriculum as developed under Walter Gropius in Weimar and Dessau was adopted and further developed. The former Bauhaus master Laszlo Moholy-Nagy was founding director of the New Bauhaus. The focus on natural and human sciences was increased, and photography grew to play a more prominent role at the school in Chicago than it had done in Germany. Training in mechanical techniques was more sophisticated than it had been in Germany. The method and aim of the school were likewise adapted to American requirements. Moholy-Nagy’s successor at the head of the Institute of Design, Serge Chermayeff, however, remained still quite true to the original Bauhaus. In the 1950s the New Bauhaus merged with the Illinois Institute of Technology. The Institute of Design is even now still part of the Illinois Institute of Technology in Chicago, and rates as a respected and professionally oriented school of design. 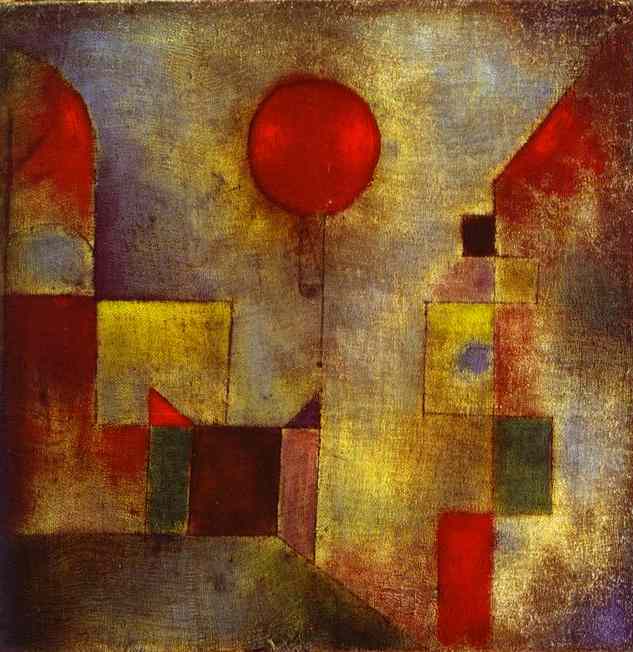 The photo shows, “The Red Balloon,” by Paul Klee, painted in 1922. Christian scholarship is rare in the context of current university disciplines. Strong is the myth that the basic tenets of the Christian faith belong to that “childish” phase of human history when people were credulous and superstitious, lorded over by a cruel, avaricious church that used ignorance and violence as a means of control. The go-to reference for all this imagined savage theocracy is the medieval era. This myth is deep-seated in the Western mind (thanks to the Protestant Black Legend) – and, despite many worthy efforts, it remains well-entrenched. Myths serve many purposes. This one reifies progressivism, which is the religion of modernity. But there was also a time when unchristian scholarship was unimaginable, because the life of the mind was aligned with eternity. The abandonment of eternity by academia (the greatest tragedy) unmoored learning from its historical mission – which was to provide an eternal purpose to life by way of reason. This was once called the life of the mind. Education has now begun its Wandering in the Desert. In all this aridity, it is refreshing to find a spring of Christian scholarship yet living, in the form of a learned and profound book. This is Rachel Fulton Brown’s Mary and the Art of Prayer. The Hours of the Virgin in Medieval Christian Life and Thought. Given that this book is deeply Christian and rigorously scholarly, its reception will be problematic. Some may find in it a heuristic for recouping the feminine in the medieval past, in the person of the Virgin Mary. Others will quibble about this or that source material, or even the exclusion or inclusion of this or that scholar. And, the sad Protestant-Roman Catholic divide will continue to use Mary to mark out difference. Indeed, the Virgin is unimaginable for Protestants once Christmas is over; while for Roman Catholics and the Orthodox, Christianity itself is unimaginable without her. If truth is the goal of scholarship, then scholarship had better first know what truth actually is. Any sort of materialistic construct is incapable of truth, because all it can do is demonstrate cause and effect (fact). This is only the first step, because the fullness of truth also needs purpose. The question, “Why?” needs an answer. Once facts find their purpose, truth is at last obtained. Fulton Brown offers truth, by successfully tearing away the façade of causes (i.e., feminism) that now distorts so much of education and offering instead eternity. Thus, her book is highly contentious and highly important, and consequently, it will be ignored, dismissed, criticized, found wanting, and even declared to be not scholarly at all. Regardless, the life of the mind runs deeper than the shallow advocacies of professional educators. This is why the majority of academic writing is worthy only for obscure journals that nobody reads. In contrast, Fulton Brown’s book is careful, meticulous, profound, deeply learned – and accessible – and it must be read by all those interested in the history of big ideas. The book is best described as a meticulously woven tapestry of medieval faith, spiritual discipline, history and natural theology, whereby medieval Christians sought completion (or harmony, as Plato and even Aristotle understood it) – which was the instantiation of divine grace in creation. To cultivate the mind meant leading the soul to salvation. Thus, Mary was not some incidental figure thrown in beside the manger and then at the foot of the cross – but that she was the very “logic” of Christianity – for how is the Word (Logos) to be made flesh, if not through the womb? And, therefore, unlike any other human being, Mary also must fulfill the law and the prophets, like her Son. As Rachel Brown brilliantly demonstrates, this summation is not some medieval fantasy, dreamt up by monks, who needed to come up with a “Christianish” figure to replace the supposed “wide-spread cult” of the “Mother Goddess” (this academic fantasy, an invention of Marija Gimbutas, has finally been debunked). Instead, devotion to Mary is as old as Christianity itself – and, like Jesus, Mary’s presence in the Old Testament was widely known, acknowledged and understood, that is, until the Reformation brought on historical amnesia (the blinkers of sola scriptura). 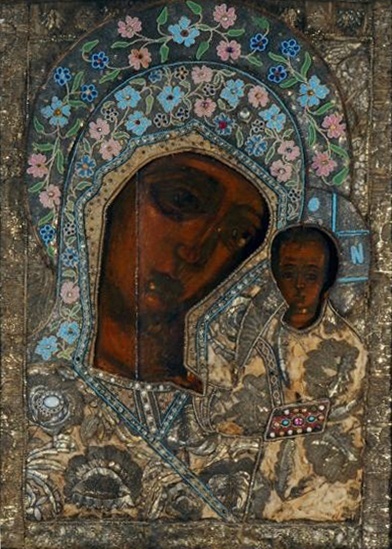 To show the antiquity of Marian devotion, Fulton Brown uses Margaret Barker’s Temple Theology that has uncovered continuity from Judaism to early Christian piety. This, of course, follows Christ’s direction on the Road to Emmaus (Luke 24: 25-27). Therefore, the Virgin is the Ark of the Covenant, the Tree of Life, Zion, the Burning Bush, Jacob’s Ladder, the Temple and the Tabernacle, the Holy of Holies, the Holy Wisdom, the Object of the Song of Songs, the Chalice, the True Bread of Heaven, the Rod of Jesse, the Gate of Ezekiel, the Lily of the Valley, and so forth. In short, all those descriptions whereby God allows human access to Himself. It was Albertus Magnus who carefully traced the many references to Mary in the Old and New Testaments, in his classic work, the Biblia Mariana. Thus, medieval Christianity was neither a perversion nor a corruption of some “pure,” first-century Christianity (as the Reformers always imagined, without any historical evidence). It is also often assumed that Saint Paul’s epistles say nothing about Mary. But even this is not true, since the epistles do not deny the virgin birth of Jesus; and Paul does write that deeply Marian passage in Galatians 4:4-6, in which the entire mystery of God becoming man is summarized, a process in which Mary is essential. In effect, the medieval veneration of Mary had an ancient precedent in Marian devotion in Jerusalem. There is no early Church, nor early Christianity, without Mary – because Mary was the “Mother of the Word,” as Fulton Brown aptly observes. Whether medieval men and women were aware of this antiquity is immaterial. For example, the core vocabulary of the English language goes back to the Bronze Age (and perhaps even earlier); and English-speakers are largely ignorant of this antiquity. But such unfamiliarity takes nothing away from the actual history of the English language. For those who might imagine that medieval Christianity has nothing to do with the first-century Church, an appeal to basic logic would be necessary. First, the faith itself depends upon events which are all based in the first-century. Second, the epistles of Saint Paul go back to within a few decades of Jesus Himself, and they contain various pre-Pauline creeds and hymns that come from within a few years after Jesus’ death and resurrection. Thus, for those trying to prove disjunction as “normal” in history would need to disprove the first-century context in all of the New Testament – which was the very same Scripture that the faithful read in the Middle Ages. Therefore, how could medieval Christians not help being part of first-century confessional reality? Again, it matters not at all whether they knew their faith to be first-century (and earlier). But to be fair, when the medieval mind imagined the world of Christ, it did so through the lens of Romanitas (Romanity, Romanness). Therefore, it is wrong to think that medieval awareness was unhistorical, or even a-historical. The remarkable thing about Christianity is its unbroken continuity with its origins in the first century. This sets it apart from all other religions (including even Judaism). The medieval world understood this very clearly. One piece of evidence of this understanding is the use of exempla (historical anecdotes), which divide time into three distinct categories – diachronic time, retrospective time and eternal time. Historical past, including the era of Jesus, was diachronic. Of course, the tradition of using exempla is Classical (ancient) in origin, which medieval philosophy knew. As well, we should not forget the fact that the calendar evidenced how long ago Jesus lived, since it was (and is still) based on His birthday. This means that the medieval world did know that Jesus lived in the first-century, and they did know that the New Testament came from that time period, with the Old Testament being earlier. This means, then, that the medieval world knew that Christianity possessed historical continuity. The Virgin, therefore, was always crucial to the life of the Church, because she fulfilled the great hope of humanity by bringing the Savior into the world – she is the starting point of mankind’s salvation. Devotion to her is not a denial of Christ (an either/or proposition is simply a confused epistemology) – but it is an affirmation of God’s salvific plan in Jesus. How? By making the mystery of the Incarnation into a Mother-and-Child relationship. When God is born as the Baby Jesus, He must also take on Mary’s flesh. And in doing so, her flesh, her humanity, merges with the Divine, which is Jesus’ dual nature (God and man). What better example of salvation can there? God made flesh so that humanity can become God-like. 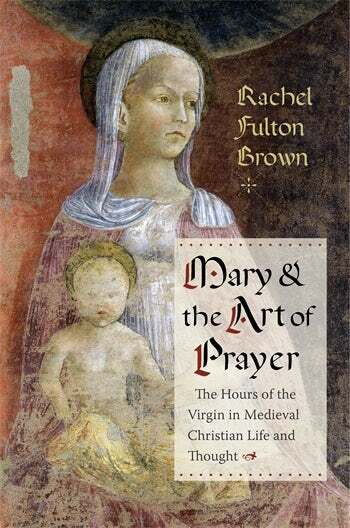 But Fulton Brown’s book is not only about the Virgin in the Middle Ages; it is also a significant study of a discipline long-forgotten in the modern world – that of prayer. Indeed, prayer is an intensely human expression, being found in all of human history. But what sets apart Christian prayer? Two things. First, it is “paying attention to God;” it is an “engine…for lifting the mind to God.” Second, as Tertullian reminds us, prayer is sacrifice. For the medieval Christian, prayer was intense meditation and sacrificial offering, affected through intense discipline. This discipline consisted of reading, memorizing, and repeating set prayers, or litanies, and Fulton Brown focuses on one such litany, the Hours of the Virgin (the Little Office of the Virgin Mary). The term, “litany” derives from the Greek litaneia, which means “prayer,” or “supplication” and involves a schedule of biblical passages, hymns and set prayers to be recited throughout the day. Constant attention, constant sacrifice to God, such were the ideal objects of medieval piety. The discipline came in two forms. First, the daily recitation itself of the various passages, hymns, prayers and petitions; second, the memorization of large portions of the Bible, such as, all the Psalms. Thus, a life of the mind forever attached to God, and each hour of the day and parts of the night spent in His service. This rigor has long vanished from daily life – not that every medieval individual undertook this rigor either – but it was the ideal and everyone pursued it to the best of his ability. This ideal has now vanished. In an effort to bring back this rigor, this discipline, Fulton Brown guides the reader along in practicing a medieval litany. The very idea of spending hours at prayer is now foreign, given the fact that for most Christians an hour every Sunday seems sufficient. And the object of medieval prayer? Mary, who was the “engine” that lifted the mind and the soul to God: “A creature herself, Mary reflected the virtues and beauty of all God’s creatures; and yet, she had carried within her womb ‘he whom the world could not contain.’ This was the mystery evoked at every recitation of the angel’s words: ‘Dominus tecum’ (the Lord is with thee)’… She it was whom God filled with himself.” In effect, Mary was the engine that made Christianity work, for without her, the Incarnation is denied. It must be said that Fulton Brown uses a vast array of source material in her study. Such marshaling of material is indeed rare today in academia (given the plague of specialization) and deserves praise. She provides her two subjects (Mary and prayer) a thorough context in medieval theology, philosophy, literature, art, music, and history, by way of some 265 original sources, which range from Adamus Scotus to Guibert de Nogent to José Ximénez de Samaniego. All of these sources bolster the thesis of the book – the centrality of Mary to early and medieval Christianity. Mary and the Art of Prayer is a book that must be on the shelf of every thoughtful Christian who wishes to understand the quality and the nature of his faith – and it must be read by those who wish to understand the importance and urgency of prayer – for piety without good works (prayer) is selfishness. Such “dispositions” are with us still – so much so that the Church today only wants to be “relevant,” because it can no longer make people holy, let alone make them Christian. The Church has abandoned its flock, which now wanders about unshepherded, seeking God in so many false pastures. Perhaps, therefore, Fulton Brown’s book has appeared at the right time, for the world is in sore need of the discipline of prayer, so that it can restart the Engine of Christianity, without which humanity is lost. This Restart will first mean the reestablishment of fidelity to the truth of Christian. Fulton Brown has offered a blueprint. Have we eyes to see? 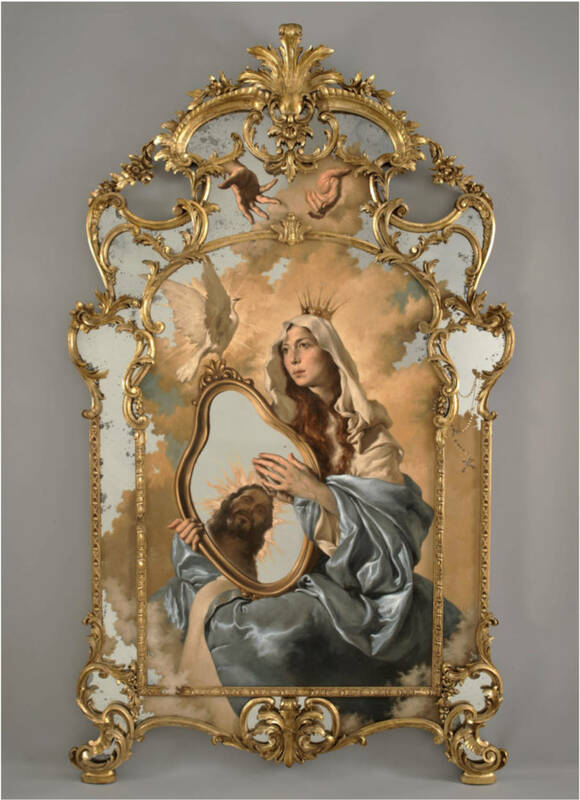 The photo shows, “Speculum iustitiae” (The Mirror of Justice) by Giovanni Gasparro. He graduated from the Academy of Fine Arts in Rome in 2007, as a pupil of the painter Giuseppe Modica, with a thesis in art history on the Roman stay of Van Dyck. 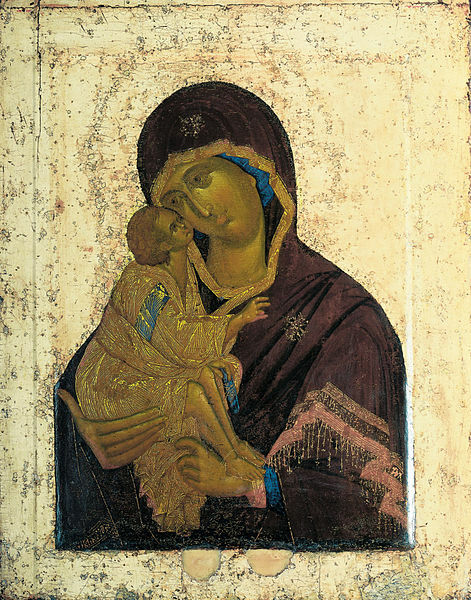 His first solo exhibition took place in Paris is in 2009, and in 2011, the Archdiocese of L’Aquila commissioned him to do nineteen works of art between altar and altarpiece for the thirteenth century Basilica of San Giuseppe Artigiano, damaged by the earthquake of 2009, which constitute the largest painting cycle of sacred art made in recent years. In 2013 he won the Bioethics Art Competition of UNESCO’s Bioethics and Human Rights Chair with Casti Connubii, a work inspired by Pope Pius XI’s 1930 encyclical. He exhibited at the 54th International Art Exhibition of the Venice Biennale, curated by Vittorio Sgarbi and at the National Gallery of Cosenza in comparison with Mattia Preti, the Pinacoteca Nazionale of Bologna, the Palazzo Venezia in Rome, the Alinari Museum of Florence, the Napoleonic Museum of Rome, and the Grand Palais of Paris, among many other venues. Sir Joshua Reynolds’ Discourses on Art is continually informed by mimesis. The importance of mimesis for Reynolds lies in the fact that it produces perfection – a key motive in any production of art, for Reynolds. Therefore, Reynolds’ discourse is grounded in the concept that art imitates nature, where the endeavor is to realistically portray life and reproduce natural objects and actions. The justification of this grounding is provided for Reynolds by the old masters whom he admires for their success, and advocates that artists must follow in their footsteps in order to achieve and produce perfection. 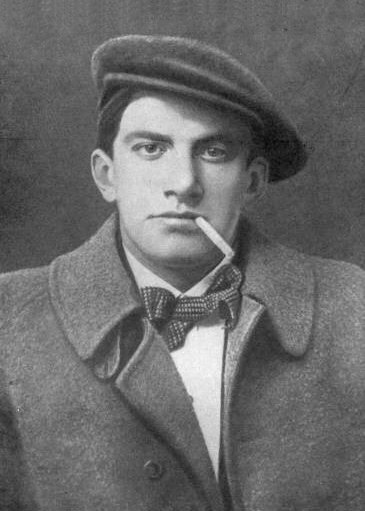 As well, there is the concern that without classical models artistic vices will proliferate and artistic virtue will not be attained. There are several varieties of imitation: painting in the spirit of the old masters and using their general principles; borrowing from the old masters with the necessity of accommodating the material to the artists own age; and the collection and use of special “beauties” in technique and expression from the works of the best painters. Let us look at mimesis a little more closely. The recurring theme in the production of discourse in the eighteenth-century is the desire to arrive at a definition of taste and good sense, thereby to place men and women into the eternal scheme of things. As such, we confront a continuous tension between opposing forces, binaries of sorts: the classic with the Romantic, the rational with the sentimental, the town with the country, art with nature, religion with irreligion, to mention but a few. 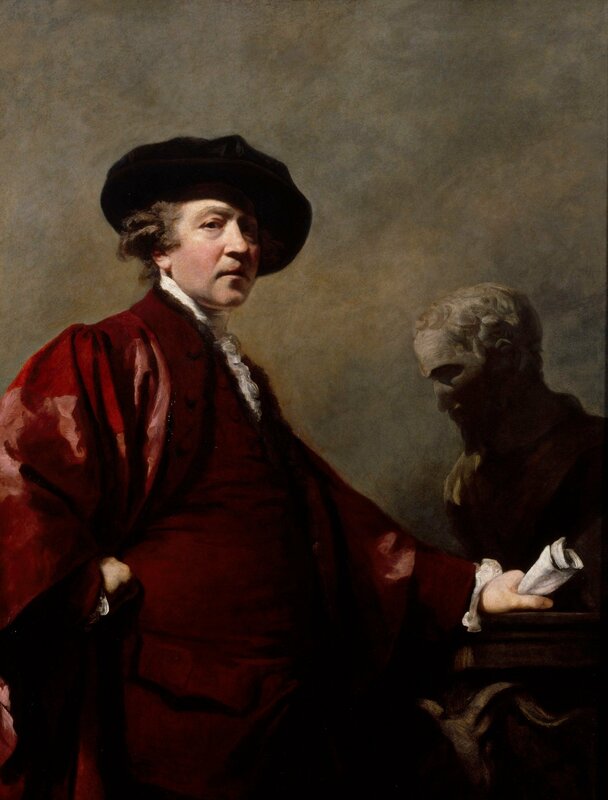 Joshua Reynolds’ Discourses on Art participate in this agonistic method by positing a discourse that is firmly grounded in classical esthetics, where the old masters are to be emulated as paradigms of perfection. Thus, Reynolds is continually valorizing one mode of discourse over another: “I would chiefly recommend that an implicit obedience to the rules of art, as established by the great masters, should be exacted from the young students. But let us briefly turn aside and flesh out the key characteristics that constitute the paradigm of the old masters. The modus operandi for this esthetic is the classical period, or the ideals, and idealized versions, of Greece and Rome. Thus, Reynolds emphasizes taste, polish, common sense, and reason over emotion and imagination. Therefore, upon the Renaissance idea of the limitless potentiality of human beings Reynolds imposes a view of human being as limited, dualistic, imperfect. For Reynolds, the intensity of human responses is checked by a reverence for order and a delight in reason and rules. Imagination is tempered by a distrust of innovation and invention. Individualism comes to be defined only in terms of the human potential within a group and generic quality. The tension that results because of these polarities lead Reynolds to an esthetic that stresses order, logic, restrained emotion, accuracy, “correctness,” “good taste,” and decorum. Consequently, Reynolds defines art by a sense of symmetry, a delight in design, and by the centrality of the human subject, which in turn lead to the categories of proportion, unity, harmony and grace. Highlighted in the discourse of emphasizing the old masters is the moral discourse of imitation, or mimesis. The concept of art as imitation has its origin with the classical critics. Aristotle says at the very beginning of his Poetics that all art is a mode of imitation; and by extension, art is an imitation of nature. Consequently, in ancient Rome and Greece the imitation of models (created by past masters) was an accepted form of composition. Therefore, for Reynolds, imitation is the key instructive tool. Imitation of nature, for him, becomes a realistic portrayal of life, and a reproduction of natural objects and actions. As well, there is a marked admiration of the success of the greater classical artists, who had closely followed nature, and were therefore worthy of being imitated. In fact, an adherence to models created by past masters inculcates a method for Reynolds that successfully avoids artistic shortcomings and ensures the attainment of literary virtues. Imitation is further defined by Reynolds. It is the borrowing from the ancients with the necessity of accommodating the material of the artist’s own age. It is the collection and use of special “beauties” in form and expression from the works of past masters. And it is the exercise of paraphrase and translation of the devices used by the past masters. The force that governs the mimetic concerns of Reynolds is, of course, nature. Contained within nature is the implicit workings of a universal esthetic whose validity leads the human subject to a reverence for rules and such reverence is then taken as an evidence of the basis of these rules in what is universal in human nature. The rules, for Reynolds, are grounded in models proven by the old master. The photo shows a self portrait by Joshua Reynolds, painted, ca. 1780. Christian culture exists not only in modes of life and in the realm of ethics and morality, but it is also deeply intertwined with the artist expression of the West. Whether that expression reifies Christian teachings, or even actively goes against it, the fact remains that the principle that informs western culture is Christianity. One of the highest expressions of Christian culture occurred in the Gothic age, which is also known as the “Age of Cathedrals,” for it was in this era that most of Europe’s cathedrals were built. Of course, cathedrals were not only grand buildings, they were also embodiments of faith, and places of sanctity wherein the divine mystery of God could be felt. The prototype of the Gothic cathedral is the abbey church of St. Denis, just outside of Paris. This monastery was under the direct control of the French kings and served as their burial place. Around the middle of the twelfth-century, the abbot of St. Denis, Suger, undertook to rebuild the abbey. In effect, the Gothic cathedral is the invention of Abbot Suger. Given their grandeur, Gothic cathedrals came to dominate the medieval landscape. The tall spires of the churches served as beacons to travelers and led them to the shrines enclosed within the church. The bells rang out and regulated the lives of the people who lived within listening range. These same bells tolled for weddings and funerals, and announced the time of prayer and for work. Thus, cathedrals were places where the divine was brought into presence, and as such, cathedrals shaped the destiny of the faithful. Cathedrals were also places that brought together in a visible sense all that the earth provides and offers, from plants and animals, to saints and the intervention of God in history, through Jesus Christ. Thus, primarily, cathedrals were places of iconographic representation. It is important therefore that the patron of the arts was the Virgin Mary, and each and every French cathedral therefore was dedicated to her; she was the Notre Dame (Our Lady). The cathedral was not only a spiritual center, but also a geographical center for the faithful. This in turn was a reflection of the theology of the day, which placed God in the middle of all life, for nothing could exist outside of God. Therefore, a cathedral is a mirror to nature, a mirror to instruction, a mirror to history, and a mirror to morality. The mirror to nature is seen in the plant and animal forms that are represented in a comprehensive fashion. Instruction is present in the personification of the seven liberal arts and the branches of learning taught in the universities of the day, often housed in churches and cathedrals. History was found in the story of humanity from Adam and Eve to the Last Judgment. And morality was seen in the figures depicting virtue and vice, the wise and foolish virgins, the saved and the damned in the Last Judgment, and in the hovering saints and angels and fleeing gargoyles and devils. Here is the important point which is often neglected – the medieval mind was an allegorical mind (a way of thinking we have entirely lost in our literalist age). The stress on representation in medieval art and architecture is on allegory, where all that is shown, created and depicted by human hands is read as great and vast examples of the redemptive qualities of God’s mercy. Gothic interiors are also flooded with light streaming through the stained glass. There is an important transformation taking place in this sacred environment: Ordinary light is transformed and changed into something miraculously colorful and sublime. This mirrors the process that the soul itself follows, for it too is transformed by holiness into something miraculous. As well, the flow of colored light makes the entire cathedral ethereal and otherworldly. We must see these stained glass windows within the context of a world where such display was rare. It was only in a cathedral that people could see the magical transformation of light taking place. More importantly, this play of light suggested the mystery of God in that the ordinary light of day became prismatic, revealing colors that are ordinarily never seen. This transformed light activated and animated the interior space of a cathedral, making the voids and the empty spaces into holy displays. Ordinary sunlight becomes sacred light, the holy light of God, which fuses the material with the immaterial into a harmonious whole. Just as the material body contains the immaterial soul, thus, the cathedral is like the body, and the holy light within it is the soul, or spirit, or even the emblem of the Holy Ghost. This light therefore is mystical, an example of God’s divine light, which could change the mundane into the colorful and miraculous. Further, stained glass offered patterns of pure color and geometrical designs, thus promoting the illusion of infinite space. It is always a mistake to explain medieval stained glass windows as images for illiterate peasants to look at, since they could not read the Bible. This is simply “fake news” created in the nineteenth century. Nothing is further from the truth. Stained glass has nothing to do with educating peasants, but everything to do with the medieval theology of light. Since no one seems to know about this theology anymore, it is always easier to talk about images educating illiterate peasants. Therefore, in the Middle Ages, stained glass replaced the mosaics and mural paintings of the early Christian and Romanesque churches – so that space itself became sacred. Suddenly, light is given both shape and meaning. Light becomes the paint on the canvas of the sacred interior. The purpose of this artistic expression was innately religious, of course. The stress on allegory in the Gothic cathedral allowed for the presence of God to be felt. It was the mystical place where the divine manifested itself to the worshipper. Thus, the cathedral became a liturgy in stone, glass and light, which the faithful minutely and piously heeded for instruction and guidance. Given that the medieval mind was allegorical, therefore it was also highly sophisticated. How else could it achieve the perfect symmetry of cathedrals? This, of course, dismantles the common misconception that the people of the medieval era were superstitious, dark-minded buffoons. That is simply the false, yet enduring, mislabeling done by the Enlightenment, which sought to claim for itself the role of bringing humanity into “enlightenment” from the supposed wretched ignorance of the Middle Ages. The medieval world served as a convenient foil for the Enlightenment philosophers, so they could privilege their own views. Needless to say, this was an attempt to represent the seventeenth-century as the most brilliant age the world had ever seen. Thus, the Enlightenment philosophers made very poor historians, but sadly their caricature of the Middle Ages has stuck. In actuality, the medieval world was sensible, sagacious, practical, subtle, rational, scientific, and well-balanced. The cathedral embodied all these characteristic. But the medieval world also had something we have lost – a deep understanding of mysticism – that wisdom which knows how to learn from the mysterious, since not everything can be accessible by way of rationality. This loss in the west has led to the lure of the mystical in eastern religions, which are, in fact, rather poor exponents, despite popularity. Life must be a balance of reason as well as that unique ability to simply say, “I don’t know,” which is faith. The medieval world knew how to say, “I don’t know.” We unwisely think that we can find it all on Google. Thus, the cathedral was not merely a building, nor a just house of worship. Rather it was the opening into God’s splendor, which could be viewed and used to better human life, and to better the soul. Is this not the highest purpose of art? The betterment of the soul? But we have abandoned art to the ugliness of politics and its various agendas. We no longer even know what art is anymore, let alone what it is for. By entering the cathedral the worshipper was reminded of the personification of the entire encyclopedia of God that was housed, and often hidden, in the world. But there was also a very specific order to this revelation, for the Divine in a Gothic cathedral is a rational being, who was also Aristotle’s Prime Mover. The cathedral was a place where God’s plan for the world could be demonstrated and made visible. And the best way to do this was by showing harmony, which was allegorically expressed as Eden. Thus, each part of the cathedral, from the tower to the spire, from the apse to the nave, from the transept to the choir – each section had to be harmonious to the whole, had to be Edenic. This was an essential part of theology as well, for God was complete and harmonious. He did not exist in chaos and disorder. And the Gothic cathedral reflected this eternal, perfect structure. A Gothic cathedral therefore turns the faithful gaze to the incomprehensible, sets the mind to consider the transcendent, and briefly lets the veil slip that hides the mystery of eternity, which is the real home and destination of all human souls. The cathedral bridged the gap between the spiritual and the material, between the mass and the void, the natural and the supernatural, inspiration and aspiration, the finite and the infinite. Here there was a union of the external and the internal worlds in architecture, as the inner world and the outer world flowed together through the glass-curtained walls. That proportion of pier and flying buttress paralleled the thrust and the counterthrust of the interior vaulting on the outside. The sculptural embellishments of the exterior were repeated in the iconography of the glass in the interior. Through the medium of stained glass light was endowed with meaning and became holy illumination. Nothing was superfluous; everything was crucial to sustain the whole – just as each soul was crucial in the grand scheme of God’s redemption. Everything and everyone belonged. There could be no exclusion, except by human free will. Is this why the gargoyles that hem the outside of cathedrals are so hideous, because they are allegories of free will misled from its true purpose, which is to understand its role in the grand plan of God? 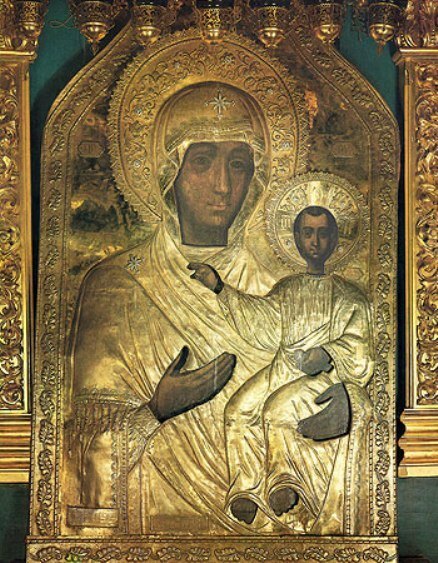 This same process of transformation is also found in the icons that are housed in Orthodox churches. Again, these representations are points of concentration, wherein the Divine is made visible so that the worshipper may comprehend the presence of God. Just as a cathedral is a presencing of God, so an icon is a presencing of the transformational nature and quality of God. It is in the icon that a worshipper may see the process that this transformation takes – from the mundane into the spiritual, from the physical to the metaphysical, from the ordinary to the mystical. In one sense the icon may be seen as a parallel, though miniature, version of the cathedral, for the icon too seeks to make the ordinary extraordinary, and to give meaning to representation that lies in the realm of the divine. The icon in itself is incomplete, for it needs the worshipper to fulfill it, to make it complete. The worshipper is caught and swept up in the general stream of movement depicted in the icon. 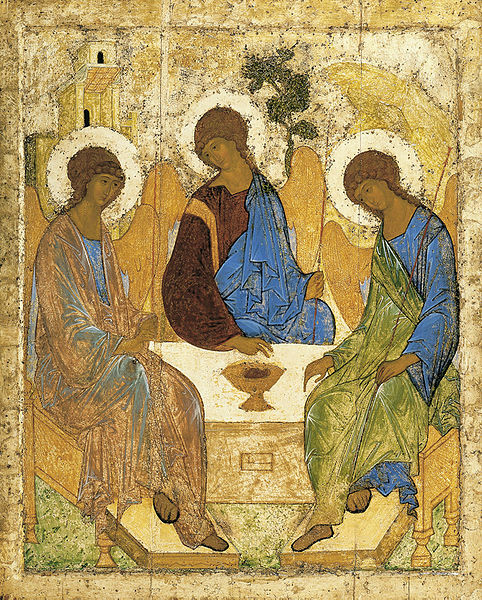 The completion can only, however, be in the faithful imagination of the worshipper, since the icon requires that the worshipper arrive at the irrational (the Divine) by ingenious rationality (the depiction of images), and to achieve the utmost immateriality (the salvation of the soul) through material manifestations (the icon itself). Was not light God’s very first creation? And thus it is light which is the truest architect of a cathedral, and also of the icon. The medieval philosopher observed that light being the first creation was also therefore perfect, and therefore light is always associated with God. That primeval separation of light and dark informs the entirety of human life – how we must bring the soul from darkness into light, from nothingness into eternal reality. Is not the purpose of faith to understand? Faith and reason together are the basis of Christian art and architecture. Reason holds up the cathedral, faith illumines it. 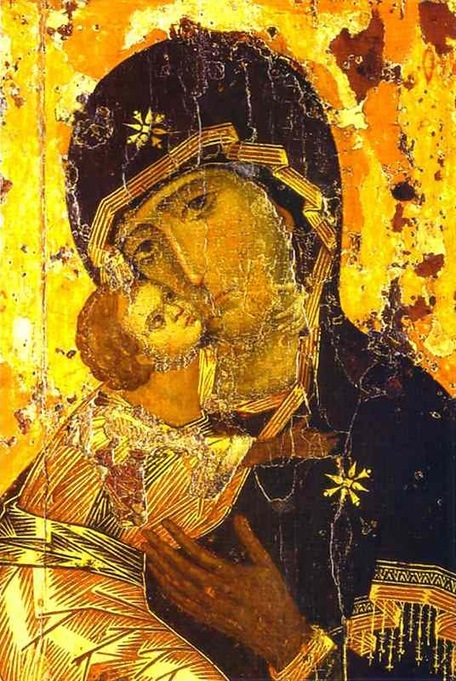 Reason delineates the contours of the image in an icon, faith makes it holy through meaning. Both faith and reason are also properties of light, because without light all things are meaningless. 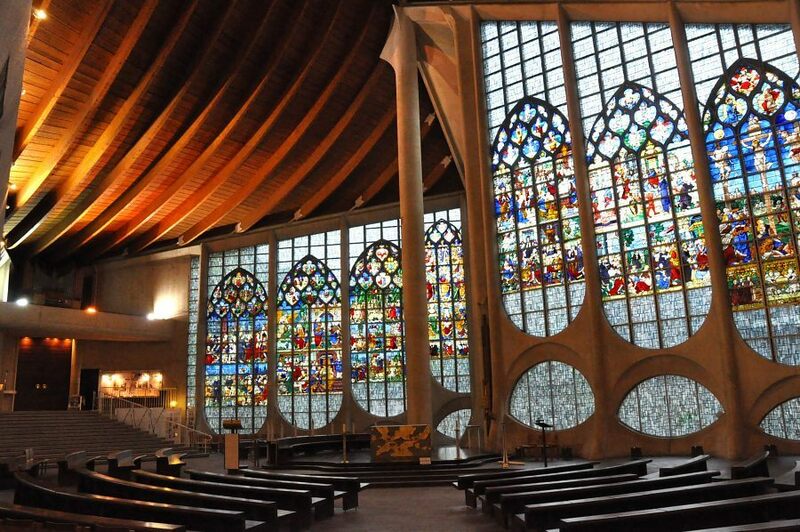 The photo shows the interior of the Church of St. Jeanne D’Arc, built in 1979, in Rouen, France. The stained glass windows date from the Renaissance (1520-1530) and originally illumined the twelfth-century Church of St. Vincent, which was destroyed in 1944, during an Allied bombing aid. However, the windows had been removed at the start of the war and were carefully preserved. They were installed, in 1979, in the present church, dedicated to St. Joan of Arc, who was burnt a short distance away, in the old market square of Rouen.